After selecting a tracker from the list, you can toggle between Standards and Students. 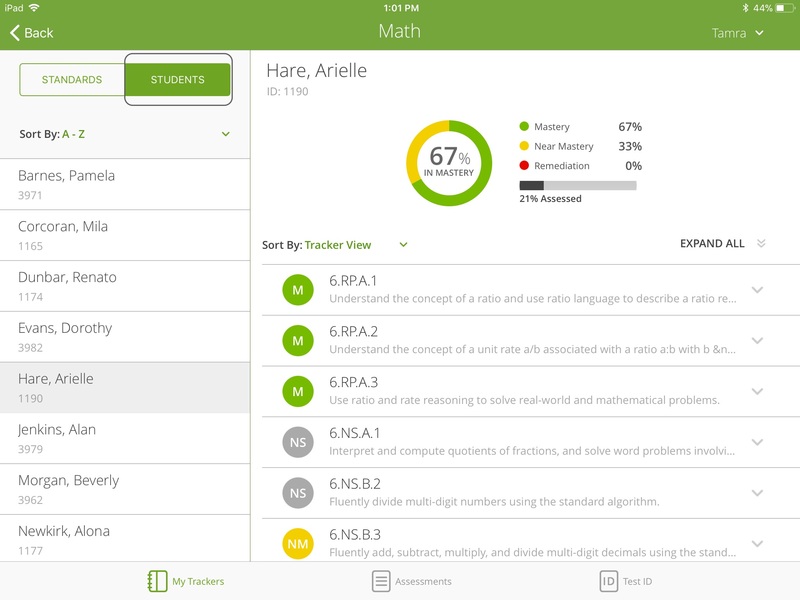 The Students view gives you a detailed mastery summary for each student in your tracker. View a sortable student roster. Tap the arrow above the student names to sort alphabetically or by student ID. Selecting a student name allows you to view a summary of their mastery levels for currently assessed standards—including the assessment source. You'll see detailed information on what has been assessed for the selected student, including a quick glance at their current mastery level. The Sort By drop-down menu allows you to sort assessed standards; from mastery to remediation or remediation to mastery. The colored circles is a quick glance at the student’s mastery level per standard. You can expand or collapse individual standards by tapping the up/down arrow to the right of each standard. You can use the Expand All / Collapse All toggle to expand all your standards and view all associated assessments. 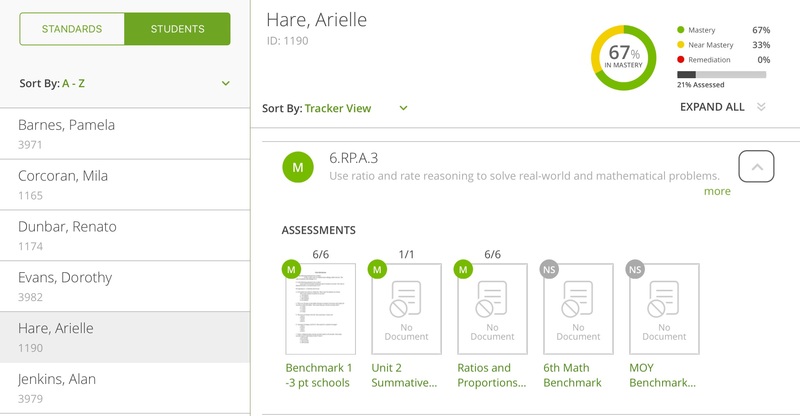 Clicking on an individual assessment (scored or not) will minimize the roster and open the Grader for that student—allowing you to view the assessment or edit student answers. Click the back arrow on the top left to return to the student record.